Wore this outfit from to work on Lunar Eve! Not my usual dressy style but it garnered more compliments than usual, so I guess I should wear such coordinates more often? 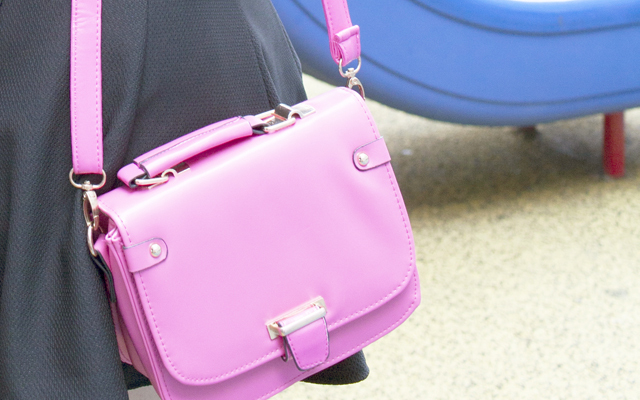 Love how the bright pink bag adds a pop of color to the otherwise quite-monotone outfit. You can't see in the photos, but it's the same color as the outline of the Eiffel Tower prints on my top! In love with this pair of earrings! I got the outfit from Femmex at Cineleisure! Was really happy to find such a pretty top and black classic skirt that fits perfectly. I liked the pleats and flattering flare too.